We wanted to send a huge thank you from Boston from all of your help, hospitality and recommending, all of which made our wedding our own. We couldn’t have asked for a better venue to say “I do”, and we cannot wait to come back and visit for years to come! You both are amazing and you have done a great job with your projects. It is truly impeccable! We also wanted to thank you for the matching SFV t-shirts – we were so happy to get them and wore them proudly while hanging out with a colony of 2100 African penguins on our amazing honeymoon to South Africa. Thanks so much for being such a special part of our wedding day! Nick & I fell in love with Saltwater the moment we stepped foot inside last November. Thanks for allowing us the opportunity to plan the wedding of our dreams at such an amazing venue! 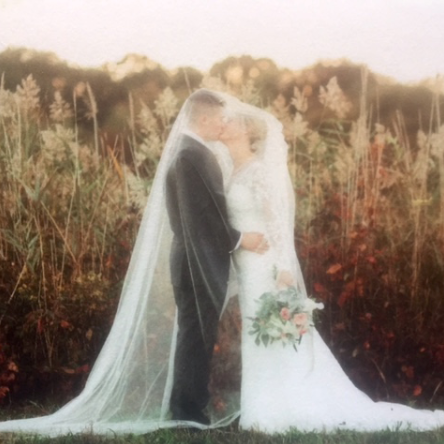 Our dreams came true on Saturday with our beautiful wedding at Saltwater. It was so much better than we even imagined it would be and we honestly believe if we did it again, it wouldn’t be anywhere near as perfect as it was. We are so thankful. All of the staff and vendors made this night so memorable and one that we will never forget. Our friends and family can’t stop talking about how stunning the venue and vineyard are and how lucky we are to have had our wedding there. We are looking forward to seeing you and Michael again soon. Many thanks again to you and Michael. We are forever grateful. Thank you both so much for allowing us to use your beautiful vineyard as the setting for our October 7th wedding. It was a real life fairytale and we know that would not have been possible had we chosen any other setting. We are forever grateful! You will definitely see us in the future – your wine is unmatchable!